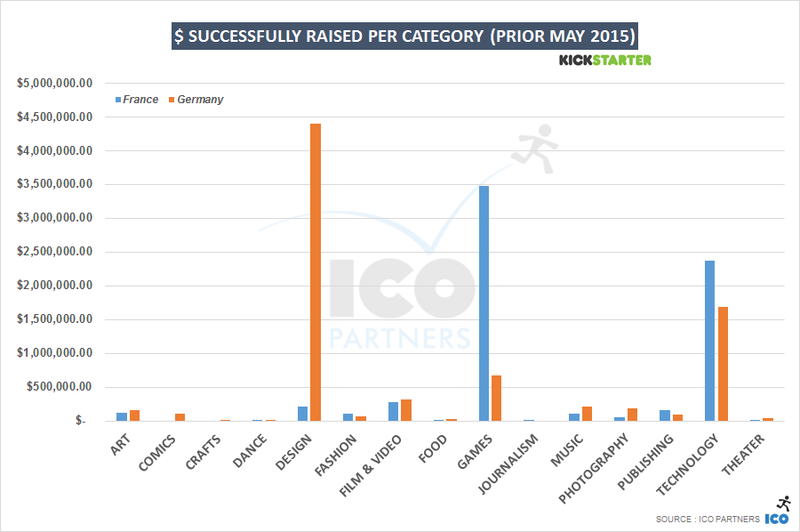 On the 13th of May, Kickstarter officially launched in Germany. In just eight days, the service will officially launch in France. I went back to my data and looked out some numbers on the historical Kickstarter performance for creators from these countries. If anything, it paints an interesting “before” picture to compare to once we get to the “after” period. 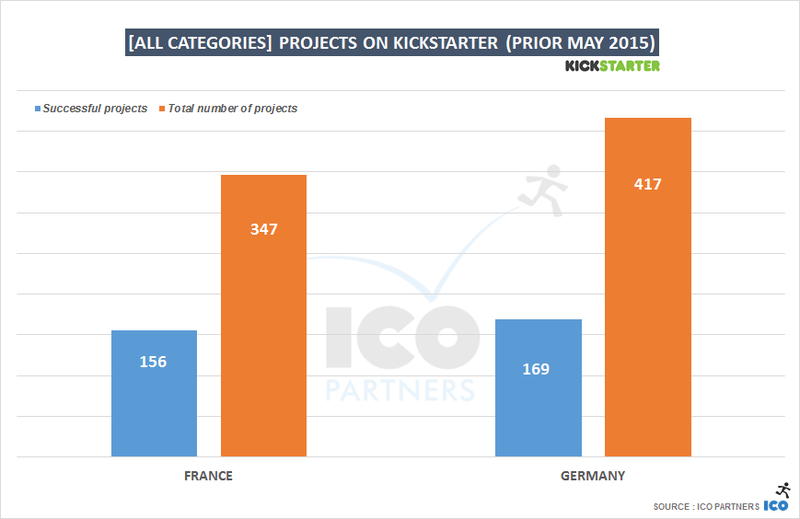 Looking at the number of projects funded, Germany and France seem pretty much on par (156 funded French projects for 169 funded German projects); and this holds true on the total amount raised as well, with around $7m in France for $8m in Germany. I will look into the Games category more in depth later. The success ratio in France has been around 45% against 40% in Germany. 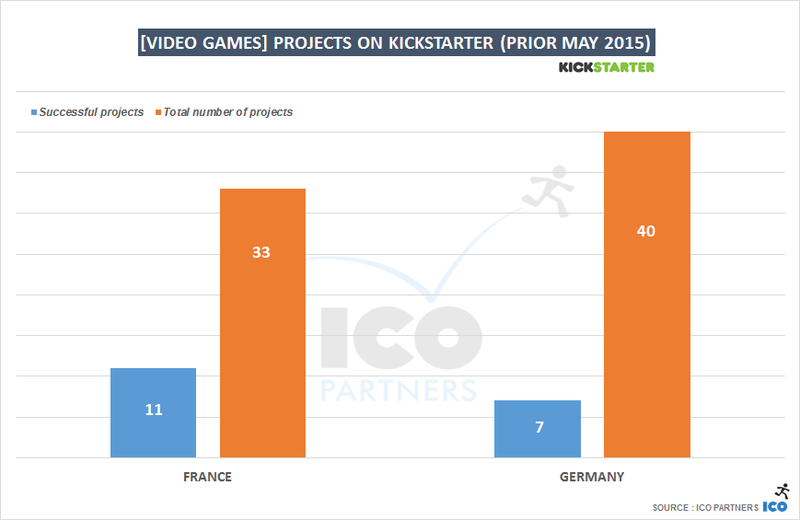 I find that very intriguing – and suspect that Germans are possibly more entrepreneurial than the French; however, the announcement for Kickstarter opening in Germany has been a lot less shared than the French announcement (double the number of shares on Facebook and about 15 times more on Twitter). It may be that the French were waiting more patiently for an official local version of the platform. 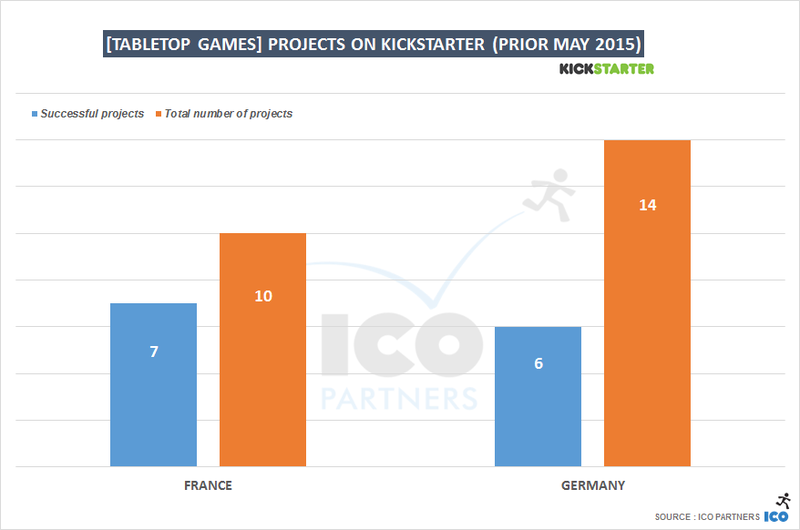 I was surprised to see France ahead of Germany in the Tabletop Games category, when Germany is such a big market for those games. It may be they have a more solid infrastructure for creators, making crowdfunding a less prominent avenue. 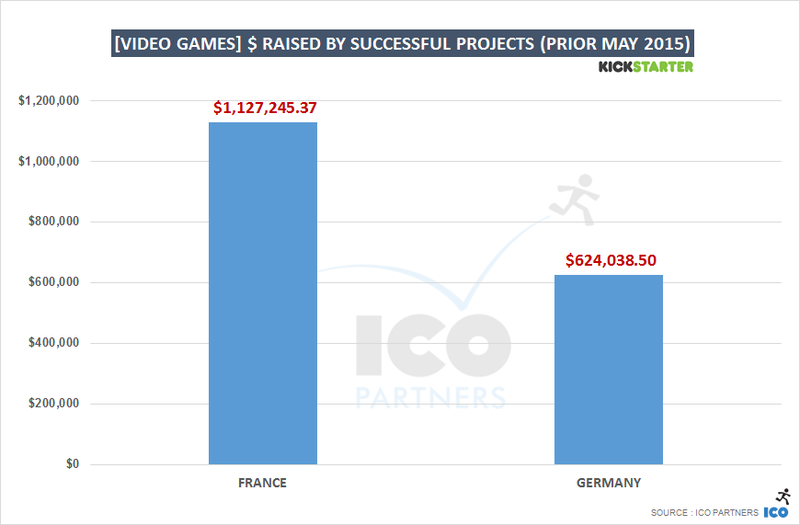 On the video game front, France has had quite a few successes, and while they didn’t have any mega hits, there were five projects raising more than $100,000. 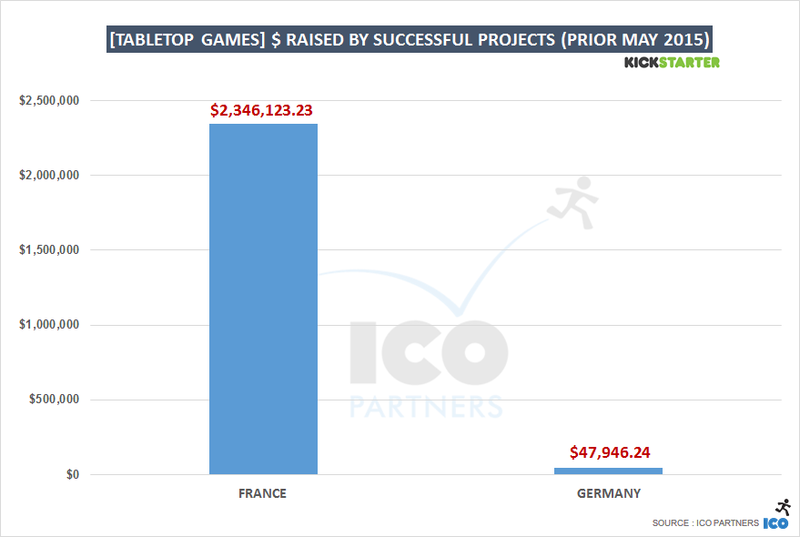 In Germany, there has only be two projects that have been able to raise more than $100,000, despite a larger number of projects launching on the platform. 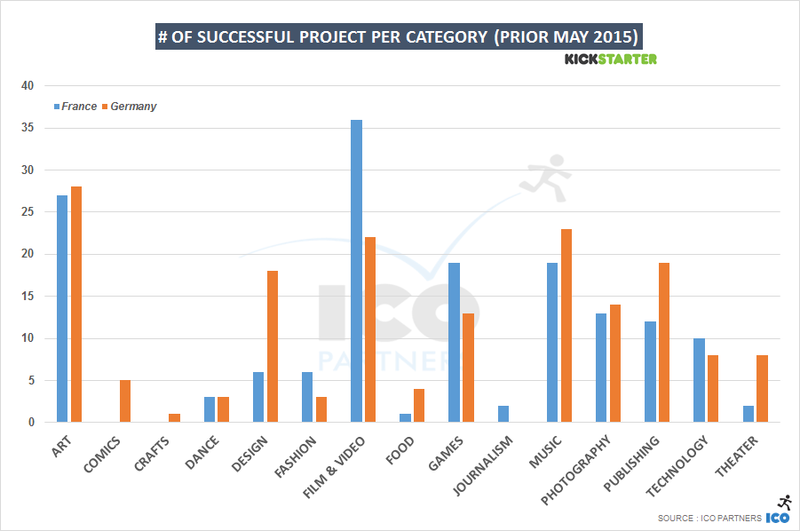 In a few months, I will check to see the impact of Kickstarter opening locally for a future blog post.